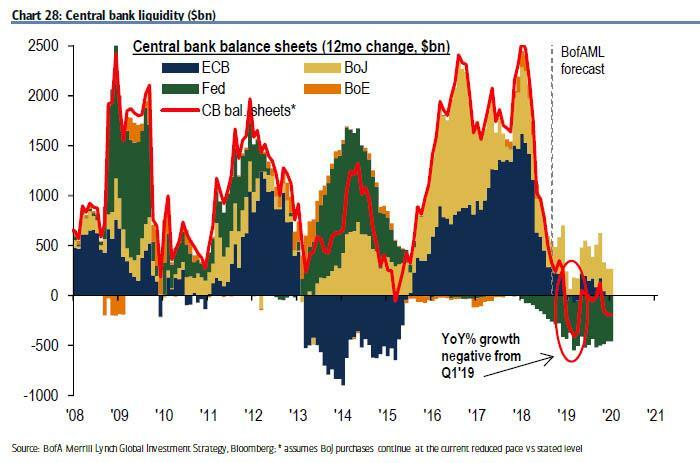 ... Nomura's Charlie McElligott reminds us of his October call anticipating a "financial conditions tightening tantrum" which was based-upon the enormous "global QT impulse" that month (and which proved to be accurate) for one simple reason: January 2019 should see similar "tightening" as the Fed’s balance-sheet run-off continues (including two heavy weekly QT periods during the first- and third- weeks of January). And that's not all: in a world of fungible global liquidity, January will be hit with the double whammy of it being the first month following the cessation of the ECB’s bond-buying program. 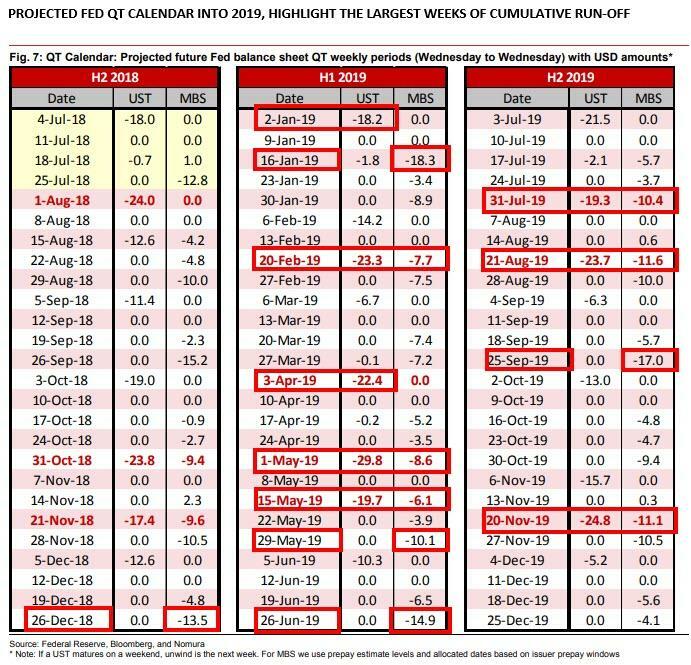 So for those who - correctly - view the shrinking Fed balance sheet as one of the most important drivers of (declining) asset prices, and who also expect a self-fulfilling prophecy to emerge as traders avoid buying stocks on major QT days (which would likely result in aggressive selling) here is the calendar of January - and 2019 - days that have the largest balance sheet shrinkage, courtesy of Nomura's George Concalves. Will it be right? 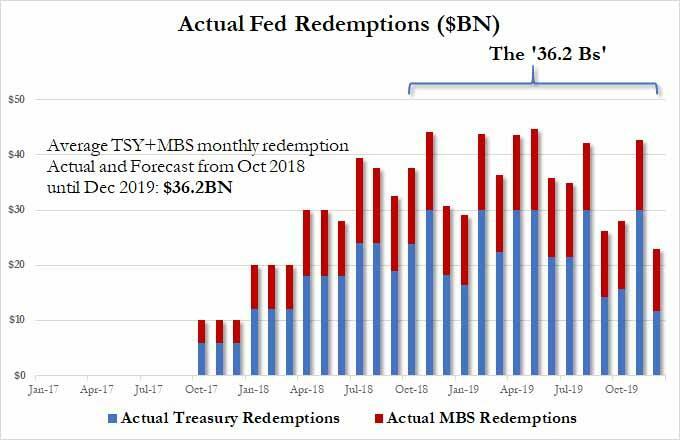 We'll know as soon as the first trading day of 2019, when $18.2BN in TSYs are set to mature. Putting the Fed's projected balance sheet shrinkage in context - assuming of course Powell doesn't fold to pressure and halt QT - this is how the Fed's asset shrinkage will look like in 2019.